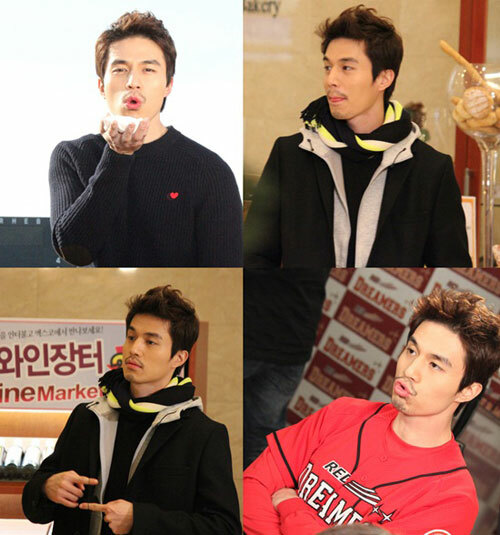 Lee Dong Wook of Wild Romance made public 4 set of his behind the scene photos. In the photos that taken outside of filming of the drama, Lee Dong Wook is in stark contrast with the rude and rash image in the drama. The 4 cute and lively photos show his charisma. In the photos, Lee Dong Wook looked at the camera and made a cute “exhale” action or played the turn finger games while on the standby, the cute look in private has made audience love him even more.